Head on over to ATS blog for more spectacular projects from the team! 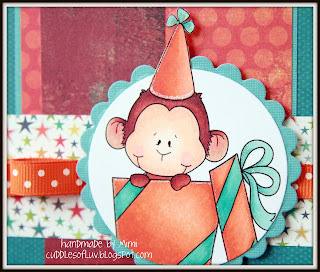 and there's a brand new ATS color challenge! Play along for your chance to win 5 digi stamps of your choice! Oh, this is sweet, love the color palette. He's adorable and the sentiment looks so natural. :) Gr8 job! 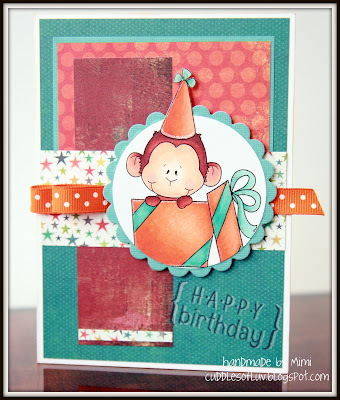 What a happy card with that cute little monkey. I love your new background too. very great bday card! 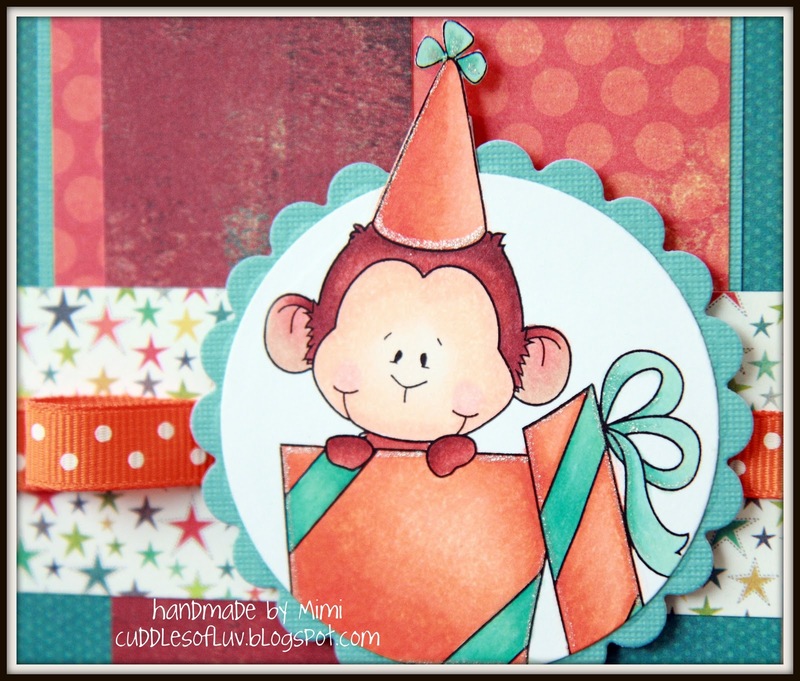 that monkey is so cute and great colors!